Gain a deeper understanding of the true drivers of your patient experience with our comprehensive feedback loop and advanced reporting tools. 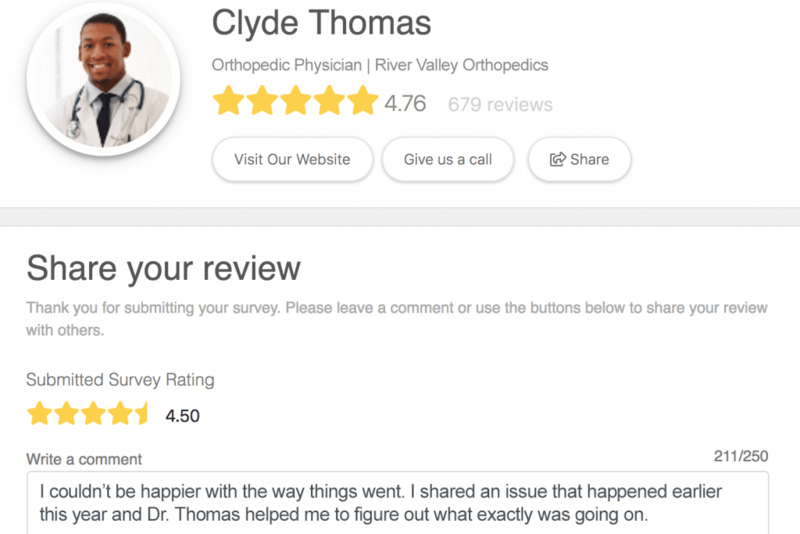 Public Review captures verified patient reviews to drive web traffic and build trust with potential patients. See how it works. Check out a full run-down of new features here. Engage your patients, staff, partners, and referral groups. Define a workflow that works best for you. Leverage the power of digital surveys to capture feedback from your entire patient population while meeting CAHPS requirements with our blended approach. Solutions available for 85+ specialties. Robust reporting and large sample sizes make it easy to pinpoint areas of opportunity. Alerts and online portals engage your whole team in the transformational change process. Our streamlined solution offers a lower cost alternative to traditional paper survey vendors without sacrificing quality or reporting features. Straight forward pricing with no surprises. It’s all included. Connect with patients on their terms and preferred devices. Industry-derived and benchmarked surveys gather candid, high-quality feedback. Get the recipient info over, and sit back and watch as the surveys roll in. It’s that easy. We’ll take care of both. From onset of illness to recovery, get actionable insights at critical touch points across the full continuum of care. Service recovery done right. Address lasting concerns and answer questions before a patient leaves your ED. Patients assess important aspects of recovery like getting back to work, mobility, and more. Incredible detail, no microscopes needed. Percentile ranking and Semantic Analysis are just a few ways to dig into your next big opportunity. Looking to make this a group thing? No problem. Engagement is easy with individual online portals and reporting for multiple provider types across the entire team. We believe you should have unfettered access to your data at anytime. Simply log in and select a custom time frame to download raw data right to your desktop. Apply our proven method to improve patient satisfaction scores by fully engaging with the solution. Grant portal access for the entire team, enable alerts and notifications at every level of your organization, and set up provider photos for better patient recognition. We’ve found running the SurveyVitals solution shows improved HCAHPS correlation. When comparing top box scores and by-the-5s (The best rating a patient can leave on the likert scale of 1 to 5) results reveal very positive association. Your notifications center serves as your command center for managing your patient experience. With real time low-score alerts, survey comments, patient contact requests, and more, you have all the information you need keep up to speed on your patients’ needs. Frustrated with unverified online reviews? Designed to be placed on your organization’s websites or on a provider profile, the Provider Widget displays verified patient experience scores and top rated areas. Forget burdensome paper reports, get the info that you need when you need it with an intuitive online reporting interface. Dive into question by question detail with the option to export your raw data. According to an article published in JAMA, physicians who score in the bottom one-third on patient satisfaction surveys have malpractice lawsuit rates that are 110% higher than those with top patient satisfaction ratings. Easily identify those most at risk with SurveyVitals. Utilize ‘Contact Me’ to offer patients a quick way to express concerns so that timely apologies and corrective action can be made by the practice itself and not the legal system. Rest assured knowing your data is secure. 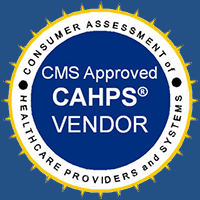 HIPAA compliant and HITRUST certified. Hassle-free automation. SurveyVitals integrates with the tools you’re already using to run your practice. From onboarding to improvement opportunities, your support team is there every step of the way.